Heldburg Fortress is a high medieval hilltop castle built in the 16th Century, that was later rebuilt into a renaissance castle. The Veste Heldburg (also called the "Franconian light"), once a secondary residence and hunting lodge of the Dukes of Coburg, dominates the little town of Heldburg on the Thuringian border with Bavaria. 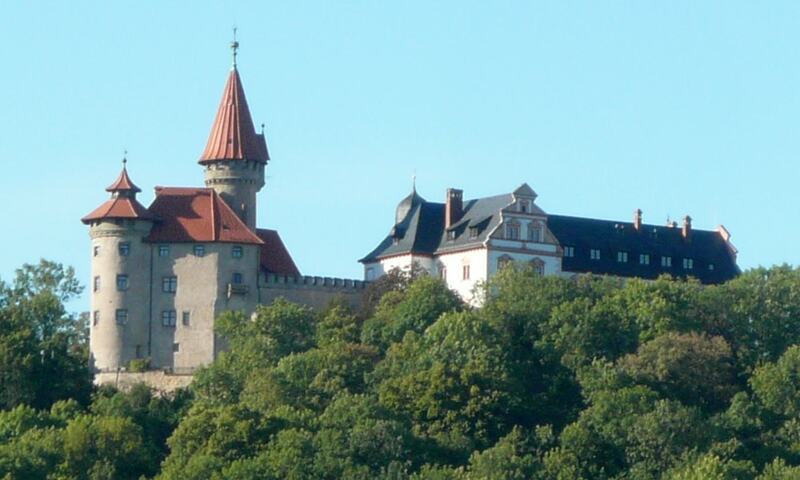 Across the Thuringian border, visitors can see the sister-castle Veste Coburg, (also called the "Franconian crown"), once the residence of the Dukes of Coburg, now located in Bavaria.